For detailed info, recommendations and tips on how to use a free Blogger.com blog like this one as a pro performing artist EPK (electronic press kit) -- including how I got the graphics for free, click here. 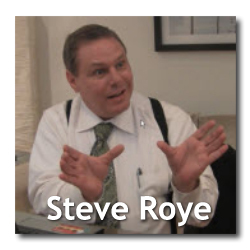 Comedy Pro Steve Roye Welcomes You! You are looking at an example of a pro electronic press kit (EPK) that didn't cost me one thin dime to put together -- just a little time and some knowledge. It is possible to have a very professional EPK (electronic press kit) for your stand-up comedy (or other performing art) that is structured to appeal to agents, talent scouts, bookers and talent buyers -- at no cost. No talent professional will take you seriously until you have a professional, independent site that gives them what they are looking for in one easy-to-use location. Please take the time to review every page on this site -- I have some fairly detailed notes on every page that you will want to review should you decide to set up a free Blogger.com blog for your initial online EPK or electronic press kit as a professional performer (no matter what level you may be at in the world of entertainment). Note: For your own home page (like this one - which is just your one and only "post"), you should have a welcome message, a brief description about the type of entertainment you provide (stand-up comedy, ventriloquism, comedy magic, etc.) and an invitation for agents, bookers and talent buyers who are visiting to check out the rest of your site. If you would like additional details on how I set this site up as an electronic press kit (including how I got the graphics for free), it's included in my online course for comedians.